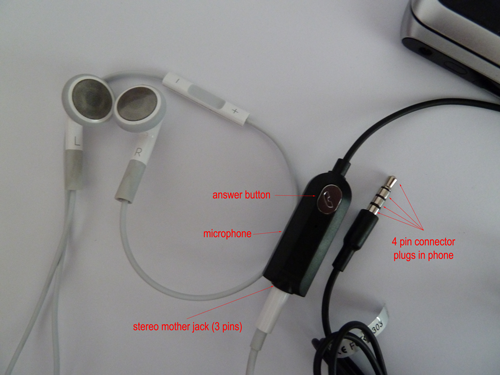 In an earlier post I wrote a little hint on how to use the Apple headset with a Nokia phone. Because it was not a permanent solution I did a little research and found this awesome solution: a 3.5 mm audio extender with an included microphone. When listening to radio, pressing the answer button on the black remote changes the station. The Apple headset works as regular headphones, the remote is disabled. The extender from a ProCell Stereo Portable Handsfree but I guess any Nokia compatible extender should work. Conclusion: you don't need to carry 2 headsets for switching from iPhone to Nokia E7, a small audio extender does the job just fine. thanks for the post i really love it .. This is an interesting cross up. You managed to make it compatible and make it work. I will try to accomplish the same.